Buy one of the blank Nintendo DS / DSi Flash Cards also known as R4 DS Cartridges. You will need it to get the .nds roms files on to the DS and play all the nice Homebrew Games, Applications and Emulators we have here for you to download. SvSIP is an application created by Samuel Vinson. You can make use of this application to your DS so that you can make phone to phone calls to cellular phones and landlines in various countries. This is a really good application that lets you take advantage of free minutes and even get free 1-minute calls. Connection quality is good too, and may really come in handy if you need to ask quick questions to GameStops or simply say “Hi” to friends. In itself, the Nintendo DS is already one amazing gaming system and many people will agree with this. But, when you add R4 DS card into the equisaion and in addition to that a few dedicated homebrew programmers, you will definitely be able to appreciate this ultra cool handheld console. Nintendo DS Homebrew essencialy is 3rd party unofficial software "home made" for the NDS by hobbyist programmers, as opposed to official Nintendo licensed software produced by a game development companies and corporation. Licensed developers use the official Dev Kits (development tools from Nintendo) when as the DS homebrew software is typically made and used on DS via third-party rewritable game cartridges like R4DS, SuperCard DStwo and AceKard and microSD card. 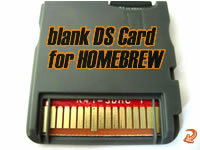 the best DS Flash Card for commercial NDS roms and Homebrew DS Apps. DSTWO is fully compatible even with the latest DSi XL models and firmware versions and works on all older NDS types + Super Card DSTWO has built in processor enabling direct DIVX, XVID, AVI and HD video format playback, and also exclusively for DS2 - SNES and GBA emulator!